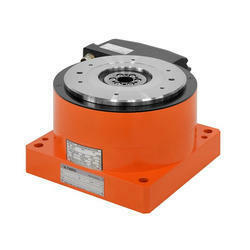 Rotary Indexing Table from are used as swivel axis or axis for positioning as well as workpiece carrier in machine tools as well as in assembly applications. In the mean time, thousands of units have been incorporated as essential components into highly productive machines around the world. In order to fulfil the ever-changing demands of our clients, we have been engaged in offering a quality range of Fibroplan NC Rotary Tables. Our procuring agents source the best grade raw material in order to manufacture a flawless array of products that meet well with the international market standards. 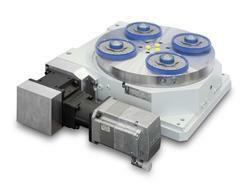 We are a paramount organization that is engaged in manufacturing and supplying Motor Driven Rotary Indexing Table. 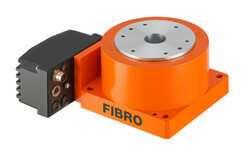 These rotary tables with face gear are specially designed for precision divisions and the absorption of high machining forces. 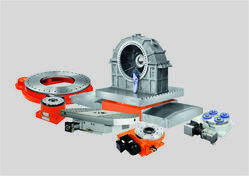 We are identified as one of a prominent manufacturer and supplier of high quality Torque Motor Rotary Table. 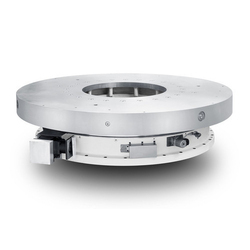 A turbo among Rotary tables – the new High Speed Rotary Table with torque motor are optimally suited for all handling and assembly applications that require the shortest indexing times and flexible positioning.